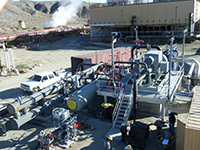 Energent is operating a 1 MW geothermal power plant utilizing our patented Variable Phase cycle. Energent designed, manufactured, installed, commissioned and is operating the power plant. 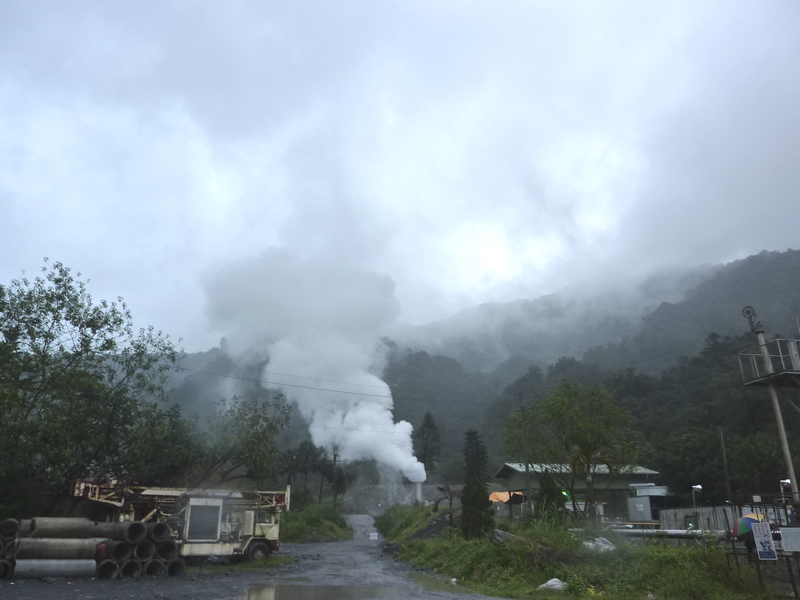 A Kalina cycle plant located at Qingshui geothermal field in Taiwan equipped with Energent's Euler Turbine was successfully started-up in December 2010. The plant is owned by Shanghai Shenghe New Energy Resources Science & Technology Co., Ltd (SSNE). The heat source for the cycle is classified as a low-temperature geothermal resource, with well temperatures near 230 degrees F (110 degrees C). »Read the full Taiwan Kalina cycle press release. 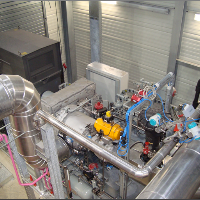 A Kalina cycle plant in Bruchsal, Germany equipped with Energent's Euler Turbine was successfully started up in December, 2009. The unit has generated up to 585 kWe, with a shaft efficiency of 82.4% and electrical efficiency of 75.3%. »View the Bruchsal Project Description Handout. A Kalina cycle geothermal plant operating in Matsunoyama, Japan uses an Euler Turbine with a 56,000 rpm high-speed generator supported by ceramic bearings. This project is the first of many onsen (hot spring) projects in Japan. 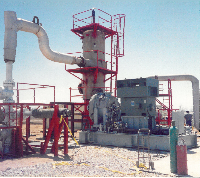 A two-phase separating turbine utilizing a two-phase nozzle and rotary separator was used to replace the well-head flash in a geothermal field in Mexico. It generated 800 kW that were previously lost in the flash valve and performed separation of the brine and steam. Similar installations can produce up to 20 MW.